i really love this talk by Marek. it is brilliant. wonderful. i am a fan. Marek Malůš is a researcher from the Czech Republic that has been focusing on Chamber REST, or as it’s known in the Czech Republic, Dark Therapy. Chamber REST involves spending long periods of time (several weeks) in isolation in a specially built completely dark house. Marek presents the basics of Dark Therapy, explains how it’s been quickly gaining popularity as a commercial service in the Czech Republic, and goes into some of the research he’s been working on. Our Cabins, we have been told, are very well designed and comfortable, and provide all amenities. One retreatant called them “the Cadillac” of retreat cabins. The cabins are beautifully finished with hardwoods and Southwestern stucco exteriors. All have porches, views and can be converted into a sealed, dark retreat. Many very well known Teachers, including Crestone residents, have chosen Chamma Ling cabins for their solitary and dark retreats. Chamma Ling of Crestone exists in order to provide a solitary retreat cabins for practitioners in the Bön tradition, as well as meditators of other spiritual traditions. If you would like to rent a cabin, we provide all the information here to plan and apply for your retreat. The cabins are open year round. We are accepting applications now for retreats up to 18 months in advance. Any practitioner is encouraged to pursue solitary retreat as part of his or her path, regardless of length of experience. There are suitable retreat practices for every level of practitioner. One should have already received instruction from an acknowledged teacher on the meditation methods to be used during the retreat. While we recognize that people have received practices from many honorable traditions, this retreat center’s primary purpose is to support practices from the Bön Buddhist tradition, however we warmly welcome applications from practitioners of other traditions when we have available cabins. The fees vary according to the type of retreat support services you need and how long you will be staying. The minimum stay is one week. For a complete explanation of costs see our fees section. Three of our retreat cabins are designed for a single person, being 21 by 12 feet, including a small kitchen and bath. A fourth cabin is about 30% larger, has a double bed, closet and larger kitchen and dining area.The cabins include a bed, clothes storage, desk, chair and shine and practice area. The kitchen is equipped with a basic set of pots, pans, plates, cups and utensils. Click Here For more details see our section describing the cabins. The cabins are solar heated with a south facing trombe wall, with electrical baseboard backup heat. All cabins are on the public water supply, have flush toilets, hot showers, sinks in the bath and kitchen, and a 3/4 size fridge with freezer. Be sure to check out the photos of our cabins to get a clear idea our cabin design. What do I bring? How about food? How do I get there? For answers to all these questions and more see our Logistics Page. How do I actually reserve a cabin? For details on the process of applying for and reserving a cabin for a specific set of dates refer to our page on the Application Process. Still have unanswered questions? If you review all the information and still have some questions drop a line to us at Chamma Ling. We’ll get back to you shortly. 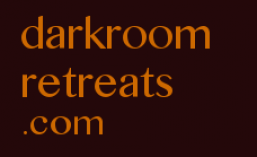 We hope to be able to support your retreat soon! Our first four cabins are clustered together and are connected by a footpath to the parking area. Retreatants have access to the full 51 acres of Chamma Ling’s surrounding property, which border national forest lands that extend across the Sangre de Christo mountain range. Three of the cabins are nearly identical, and designed for a single person’s use. The fourth cabin is about 30% larger, and includes a double bed, small closet, and a larger kitchen and deck. It is well suited for couples to practice together. The floorplan is here, but also be sure to check out the photos of the cabins in the photo gallery. We are confident that you will find our cabins to be very comfortable, and warmest welcome! The third cabin with prayer flags. i thought any trauma i might have experienced was probably trivial … and not worth worrying about …. best to “get on with life” that’s what most of us do isn’t it? Two influences affect capacity significantly: profound rest (positively) and major trauma (negatively). Profound rest, like the organism itself, is physical and psychical. Fasting provides primarily physical rest; darkroom retreating, primarily psychic rest. These can be used together or separately depending on capacity. Capacity is experienced as a sense of ease in doing something. What trauma? I mean the routine brutality of our lifeway, which touches virtually everyone from before birth. I mean not just the bad things we condemn, but common atrocities we mistakenly accept. I mean offenses to nature, as if it hadn’t already worked out every detail of a happy existence from the beginning of time. I’m going to list common examples of the plague of polite violence I refer to. My editor, a deeply wise and loving man, has warned me I will lose readers by doing so. I see no way around it. Here’s hoping you can take it. * and finally, the last nail so big it splinters the coffin: school. The violence of job, military, hospital, the street, and prison go without saying. Of exactly what brutalized you, you may already have some idea. I invite you to find out for sure for yourself in darkness, where you have a real chance to recover from it. Between retreats, the depth psychologists mentioned below can also help provide words for what you are going through.